Taking our Health and Well-being back into our own hands. 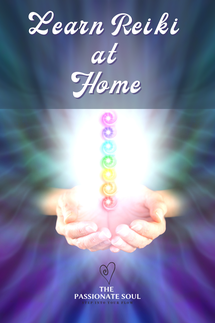 It might seem to some of us like everyone and their Mama is learning Reiki, like it’s a fad. I truly believe it’s one of the major tools that are finally coming back to the surface. A lot more of us are Ready to learn (remember) that we can make ourselves feel better, as well as provide what we’ve learned to others who haven’t, or aren’t yet ready to learn for themselves. Reiki has been very impactful on my path as an Empath. I only wish I had learned it earlier in life. But, as we all are learning, everything happens at the perfect time, when we are fully ready. My goal here is to make Learning Reiki available to as many as possible. The ones who are ready and feel the calling to learn. So, let’s begin now with Reiki I. When the timing is right, Reiki II and Reiki III - Master/Teacher Levels, will be available. I’m excited to share the Online Workshop I’ve been working on with you. I feel it’s a perfect way to make Learning Reiki available to as many as possible. As soon as you have completed your Course, contact me by email or private message, to receive your certificate. Your options are to receive your Certificate by email or snail-mail. Let me know which option you choose.